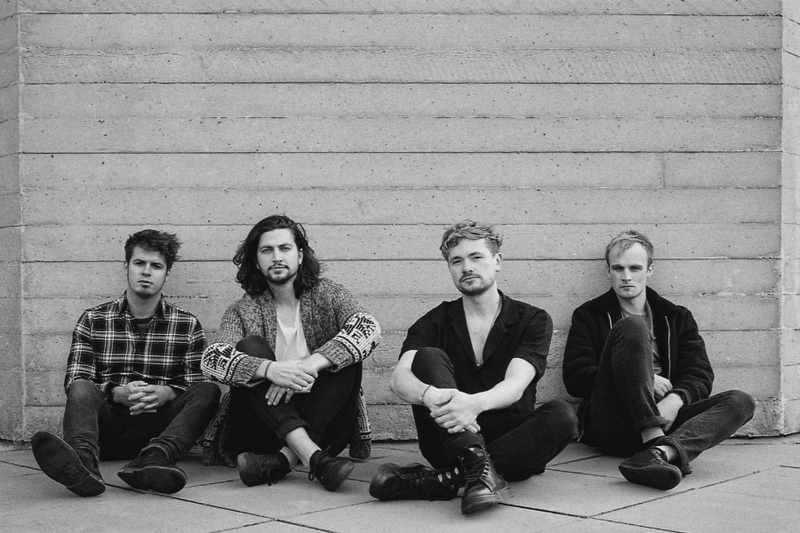 The King's Parade Releases Video for "Woman"
London quartet The King’s Parade have revealed the video for their latest single "Woman", which takes aim at the issues of gender inequality prevalent in today’s society. The video premiered with Happy Magazine who said, ""Woman" is a refined and thought-provoking clip, sure to leave a major mark across the indie music scene. Clearly, The King’s Parade are cementing their status as one of the most naturally talented and hustling young acts this year." Featuring a lone female amongst a sea of larger, anonymous figures in New York, the video highlights the negative attitudes and behavior towards women. Increasingly shunned and alienated from these more powerful figures, the monochrome aesthetic is broken only by the emergence of a flower, which engulfs the building, before the character blossoms into a soaring creature. Deeply symbolic of patriarchal oppression and how it can be overcome, the video was animated by Lily Fang, who previously made the band’s video for their highly acclaimed single "Bunched Up Letters".